By nature, eco friendly office furniture, especially tables and chairs made from wood, is inherently durable. Customised office furniture can also have lasting qualities, and what better place to take responsibility for your environment than in the office. After all, you are there every day. Up until recently, office furniture would have dangerous, toxic chemicals from their manufacturing methods. Fortunately today, you can buy new or used office furniture which is environmentally-friendly and suits any budget. Herman Millier is one such eco friendly office furniture brand that comes to mind, and with their award winning designs, you get style, comfort and elegance thrown in. Look at the company Knoll too – they make beautiful wood furniture from 100% recycled plywood. Many companies are pulling their weight in efforts to offer trendy, robust office furniture free from toxic sealants and veneers. What’s more is that some of them can even be assembled with the use of screws or bolts, and this is good news because none of us needs more work! 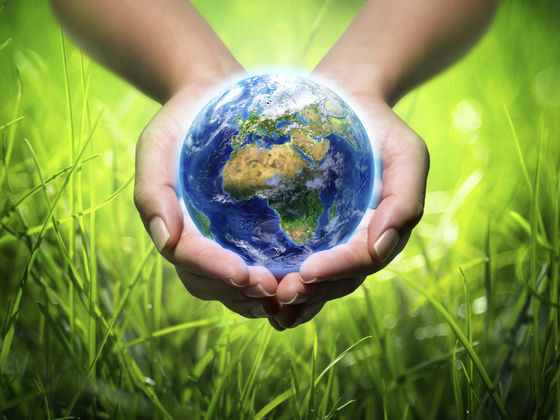 When thinking about environmental conservation, most people immediately think of cars, recycling, and energy-saving devices. Rarely do they think about the very structure and fabric of their homes, but sustainable housing is becoming an increasingly popular concept. However, there is no general consensus regarding what sustainable housing actually is. Common features usually include recyclable or sustainable building materials and appliances along with structures that conserve energy and water. But to many people, green housing isn’t just about protecting the environment and saving money. It’s a chance to rethink and improve upon the quality of their lives in a holistic way by building relationships with their families, nature and community. For example, New Zealand’s ample sunshine, its tradition of community and its connection to nature make it a perfect location for eco-friendly housing developments. That’s what makes the upcoming construction plans for an eco village prototype perfect for New Zealand. The off-grid village containing 100 homes will be built in Almere in the Netherlands. This is a pilot project led by ReGen Organisation and, if successful, further projects are likely to take place in Denmark, Germany, Norway and Sweden. ReGen, along with architects EFFEKT and BV, consider New Zealand the ideal host for additional sustainable housing developments in the future. Eco fashion – Wake up call! There is still so much that can be done with businesses, homes and even fashion in New Zealand in terms of energy and general environmental quality. I was alarmed to discover that the global fashion industry is a massive polluter of clean water, and that about 20% of industrial water pollution comes from textile dyeing and treatment. I am seriously concerned about the environment and I think we should be doing all we can to be supporting eco fashion efforts. If only fashion conscious people were aware that the fashion industry is designed to bring out newer fashions all the time just to psychologically induce impulse purchases. The beauty about eco fashion is that it produces garments that are less harmful to the environment; they are not in any way inferior to the regular clothes, and in fact they last longer. The time has come for each one of us to start thinking about the planet, right down to what we are wearing! In 2014 ecohome a sustainable design and construction firm decided to sponsor a pest fence around Nelson’s The Brook Waimarama Sanctuary, the goal, to protect our residual wildlife and birds so that New Zealand once again has an active indigenous population. I sponsored a post at that time and to be honest I forgot about it. Doing some delayed bookkeeping I was reminder of the project and thought it would a good thing to see how things were going. The project is ongoing but funds and volunteers are still being sought. The video below shows what has been achieved so far which is fantastic. Once the fence is complete then the sanctuary will be closed for about 12 months whilst trapping takes place to removed pests like rats, stoats and possums from within the fence perimeter. I am just concerned that ariel poison is going to be used. I know brodifacoum is consider safe and the reports I have read certainly maintain it is the choice especially for large pest infested areas but I still have concerns. Spraying a anticoagulant poison over this area of land just give me a stomach clenching feeling. Ok I accept it is my psychology but does anyone else feel this way? Is there any other alternative? The sanctuary is not looking at a cheap alternative i know that but I still feel uncomfortable with it…am I alone in this? The best way to reduce the pollution caused by fossil fuel run cars is to stop using them. But until a technology is discovered to run the car on hydrogen we have no other option. This technology is still in experimental phase and not production ready.Cars will be running no matter what. They are the most efficient method of transport till date. But you can make your cars eco-friendly and reducing emissions by following some basic methods. Servicing regularly – Servicing the car regularly means the engine will always be in shape and will burn less fuel. This means less carbon-dioxide emissions into the air. Also keep the tyre pressure optimum for less fuel consumption. It will save you bucks and also is eco-friendly. Keep it light – The lighter your car is the less fuel it will consume. So remove the baggage you do not need to carry while driving. Even small things like a briefcase can make some difference. It reduces the drag and also the carbon footprint. Drive at constant speed – Driving too slow or too fast consumes lots of fuel and that means more carbon footprints. So drive at a constant speed. A speed of 40 to 60 kmph is the ideal speed. Use brakes sparingly – Using brake means you have to shift gears which means more fuel burning. Using less brakes means you are saving the fuel and the planet. I was wondering how many of us have habits that harm the environment the least. Well folks I have made a list of habits which help the environment. We live in one of the most friendly countries of the world and should behave responsibly towards the environment. Plant a tree – Add to the greenery personally and become a responsible citizen of earth. Using cloth napkins – I have already mentioned this in an earlier post about paper. A very good habit which saves lots of paper and hence trees. Print on both sides – Use the one-sided printed paper for printing to reduce use of paper. It is saving with care for the environment. Carrying Water in reusable bottle – Yes friends using bottled water is not good for the environment. If you use your own water you are actually helping to save ground water. Use shower – Another way of minimizing water use is to take a shower. It has been proven that bathing in shower uses up to 30% less water. Turn off the tap while shaving – Cleaning the blade is essential for a great shave. However keeping the tap on continuously leads to wastage. Car pooling – The best way to save fuel and contribute by adding lesser Carbon-dioxide to the air. Keeping the Air conditioner at higher temperature – You would never want to step out of your room and feel the heat. So keep the temperature within 3 degrees to the outside temperature. Saves electricity. Last year I visited Middle Earth, that is Hobbiton, near Auckland where the LOTR and The Hobbit where filmed, those fabulous tiny houses caught my imagination. Ok they are for small hobbits but did you know tiny houses are popular in America? These are modern tiny homes on wheels, with specifications from 24 foot. They include living space, kitchen, bathroom and stairs to the upstairs master suite. They are tiny, maneuverable, economical and they can be moved to your favourite spot! Your own hobbit house! Now having a little wander around the internet I found another alternative and that is a Yurt. Now Yurts have been used for 1,000 years and still are in some areas like Mongolia. They can be used in all kinds of weather conditions and personally I think they would fit very well into our climate. 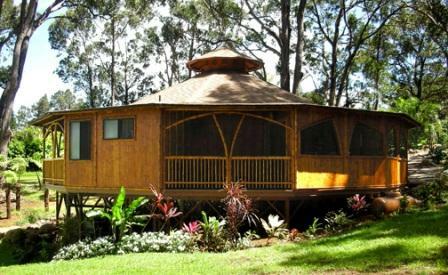 What is a Yurt; well they are round structures similar to tents. They can be put up very quickly and range from basic to luxurious. They can be anything from 12 foot to 30 foot,, more efficient at heating than square residences and designed to stand up to winds of 100 mph. Have a look here to build your own virtual yurt. Yes, this is a Yurt. There is something so attractive about these seamless residences, very Feng Shui. They are becoming popular in New Zealand with companies here producing them now instead of importing. Yurt New Zealand and Jaia. If you are considering some a little less conventional, have a limited budget and want to be Eco-friendly then maybe you should consider a Yurt… I know I am interested. In fact interested enough that I have been exploring how maybe a loan might be an option; If you thinking along the same lines I suggest you read more about the process for getting a loan that meets your needs.